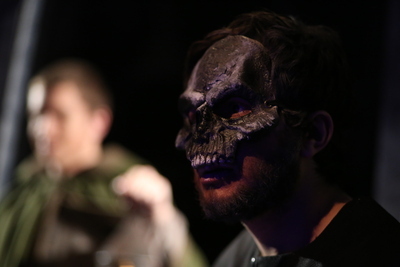 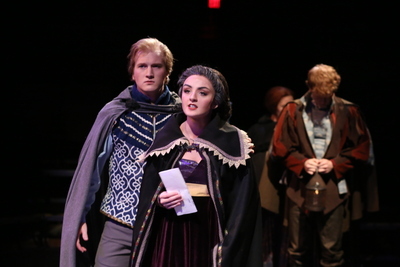 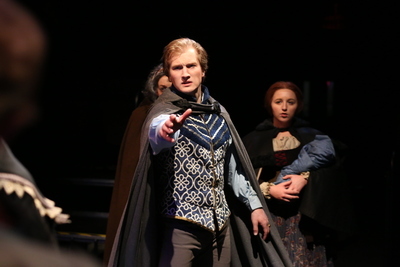 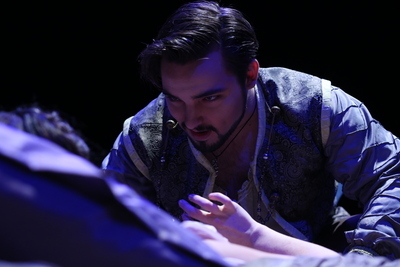 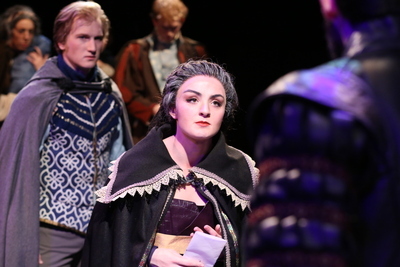 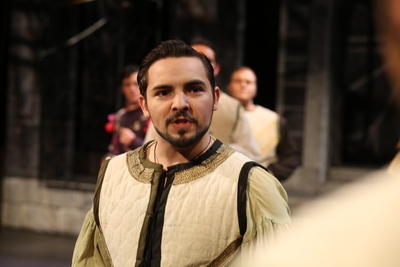 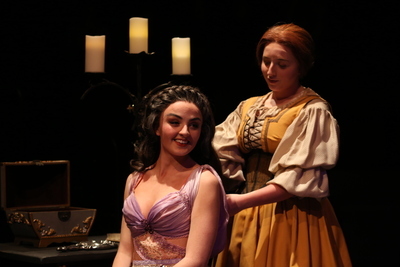 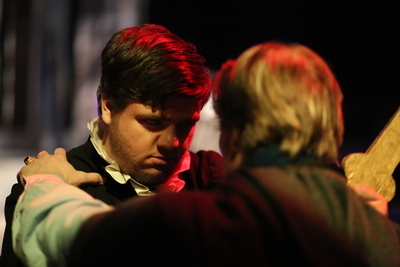 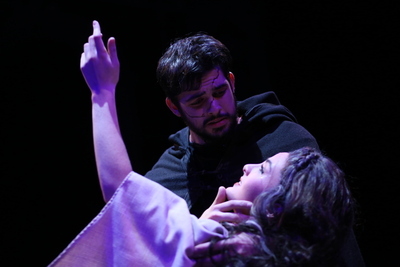 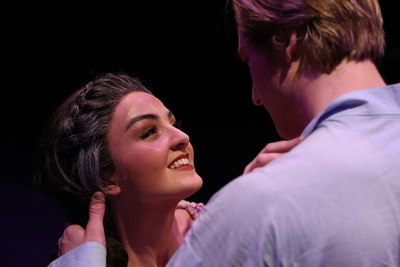 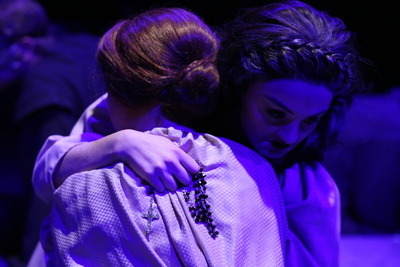 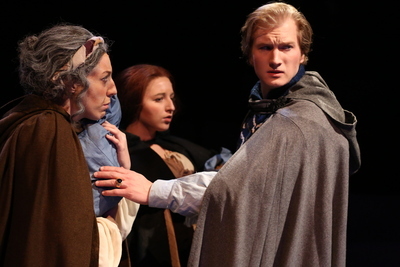 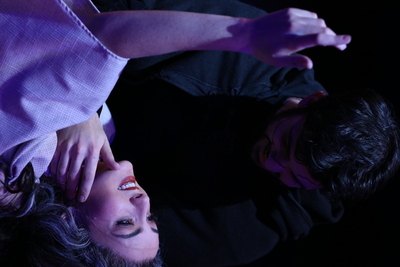 The Central Theatre Ensemble at Central Washington University performed the "Duchess of Malfi" in November 2014. 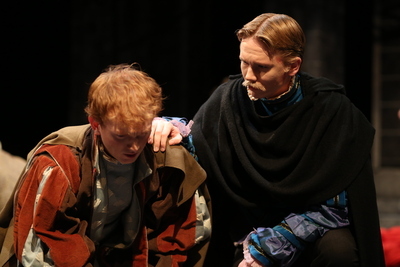 This 17th century tragedy by John Webster has been called the “greatest play of the Jacobean period.” In the play, a duchess who functions as sole ruler of Malfi falls in love and remarries as she battles the forces of evil when her two violent brothers seek to overthrow her. 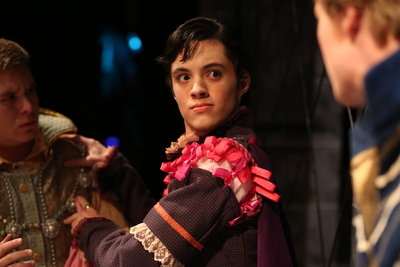 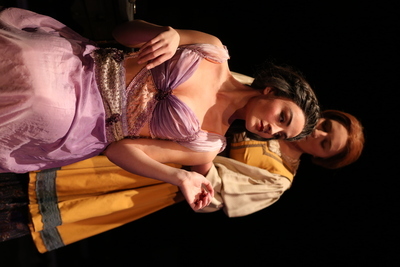 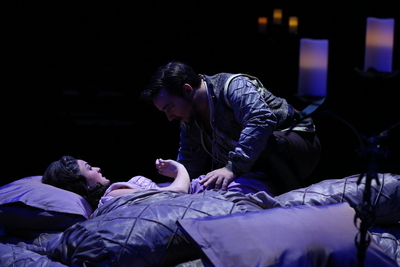 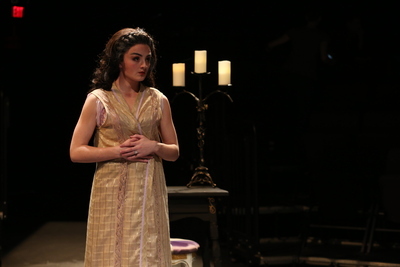 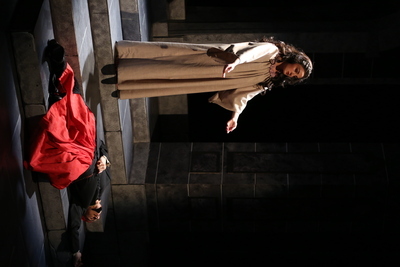 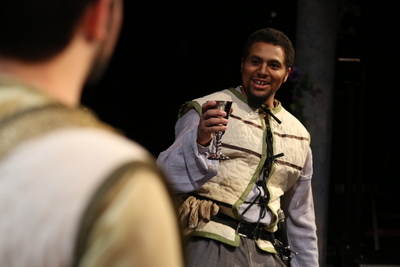 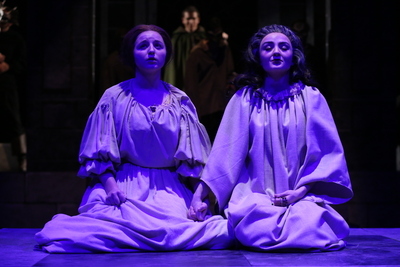 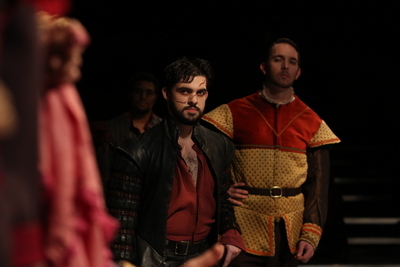 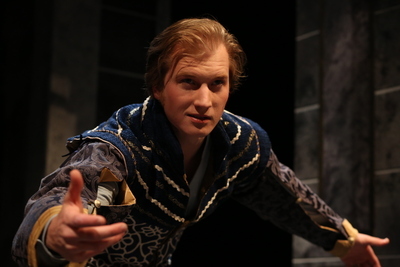 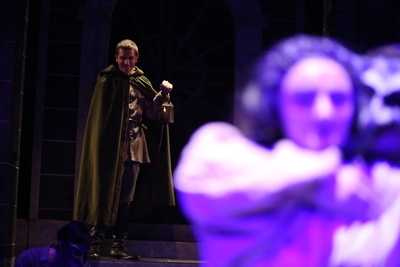 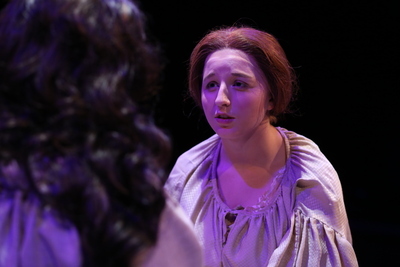 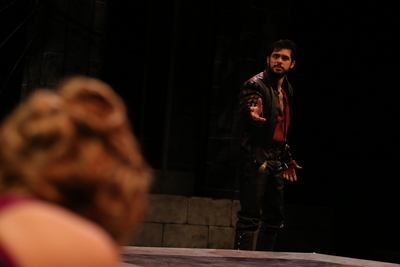 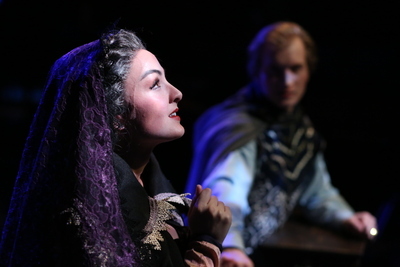 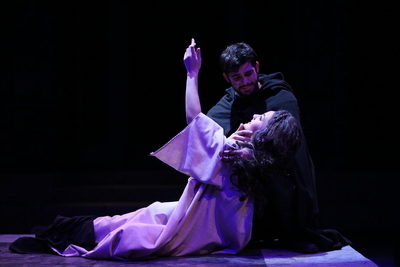 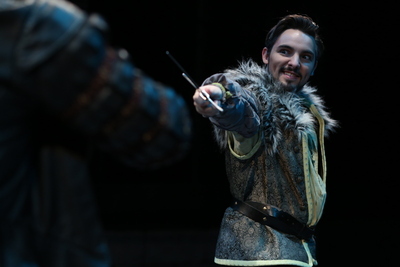 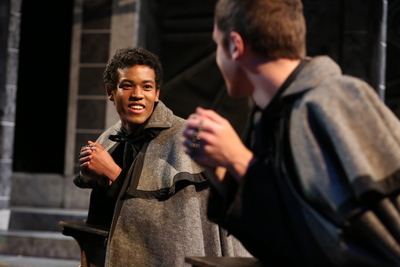 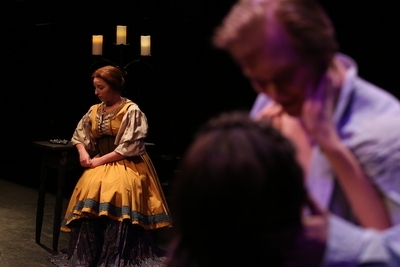 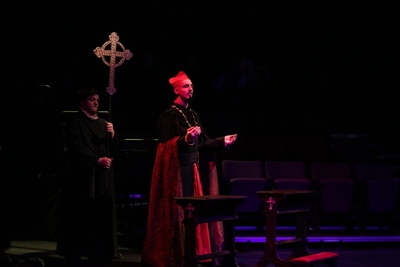 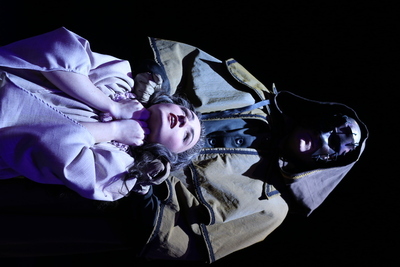 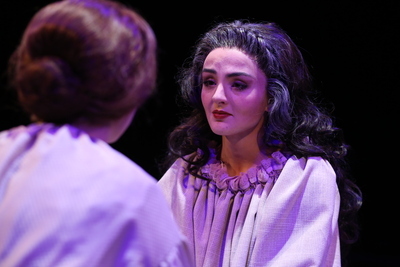 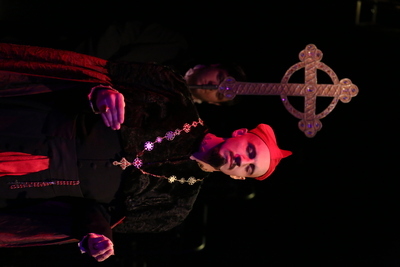 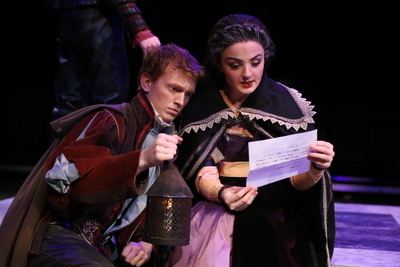 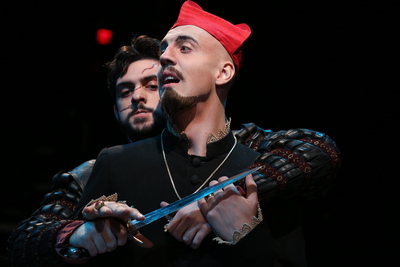 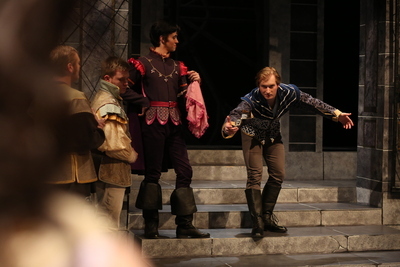 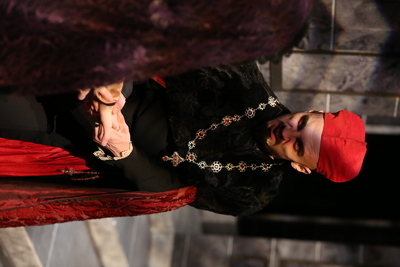 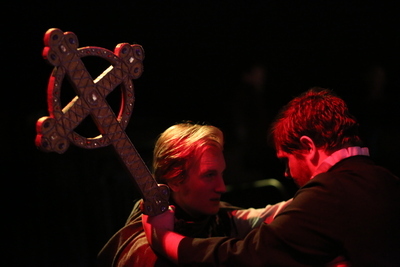 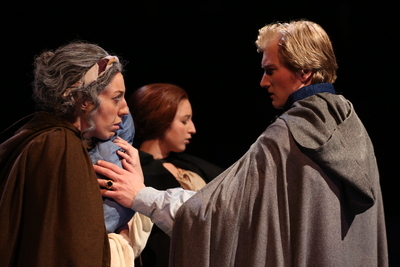 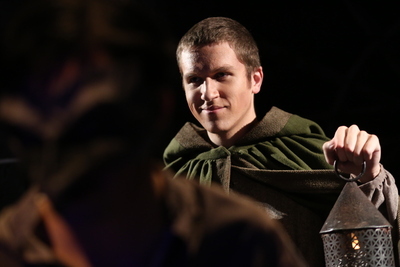 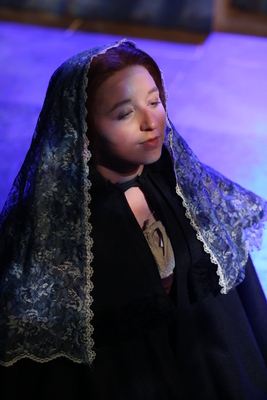 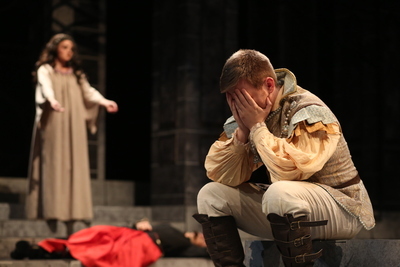 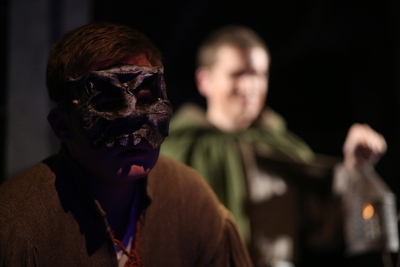 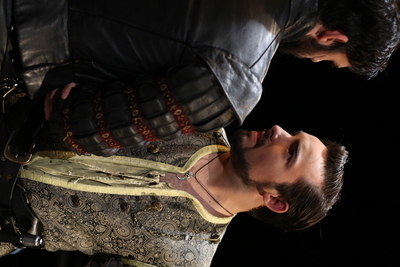 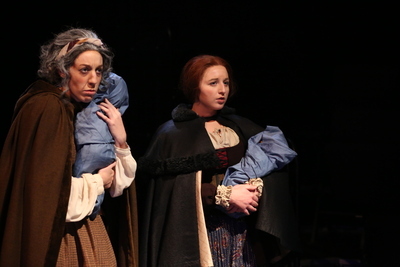 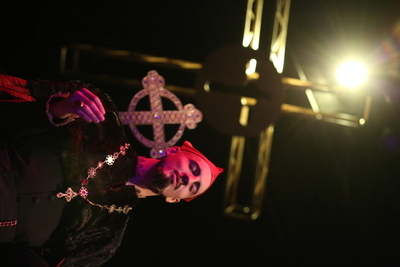 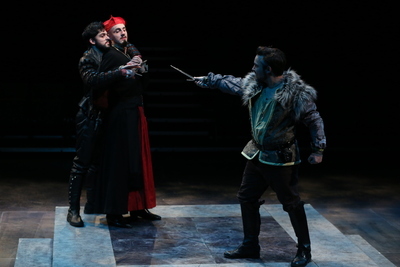 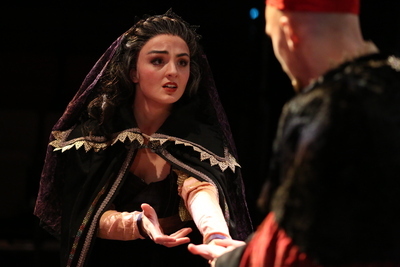 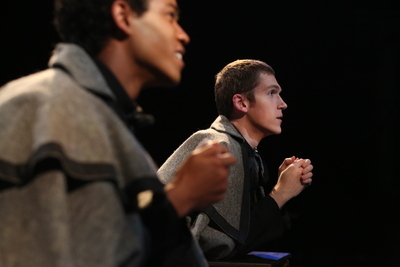 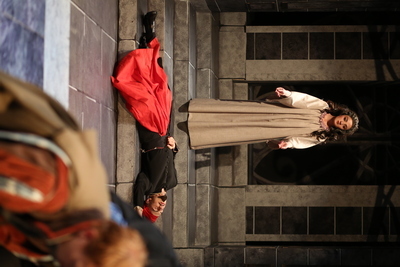 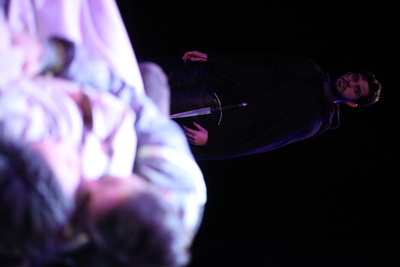 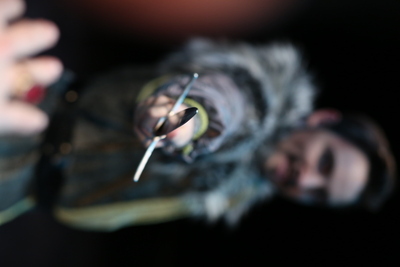 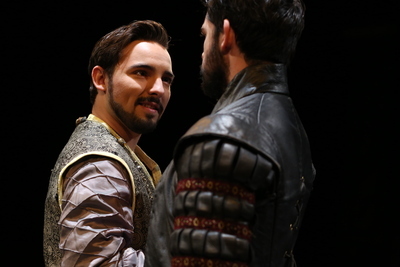 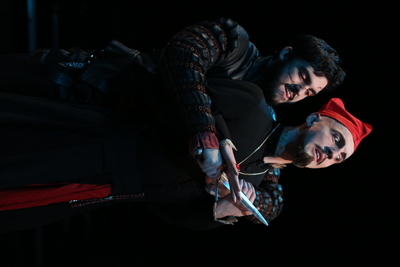 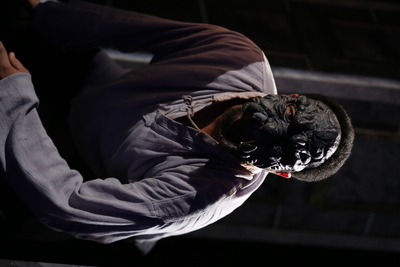 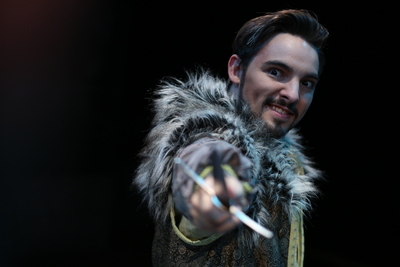 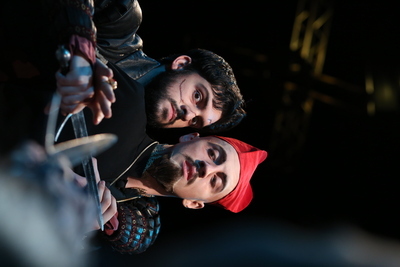 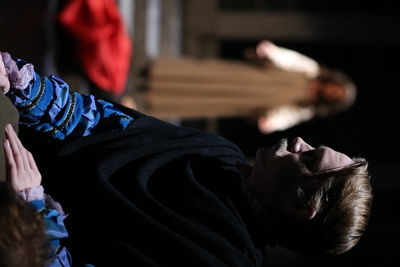 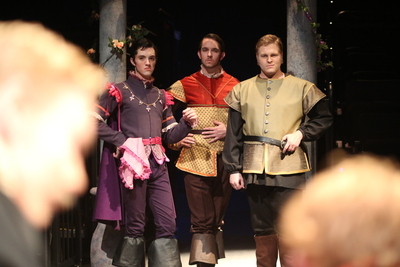 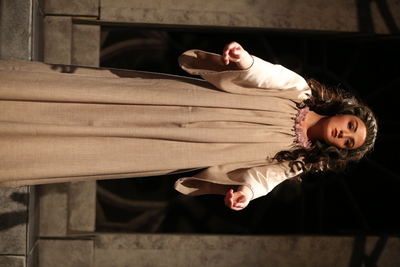 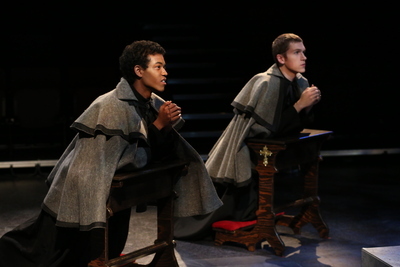 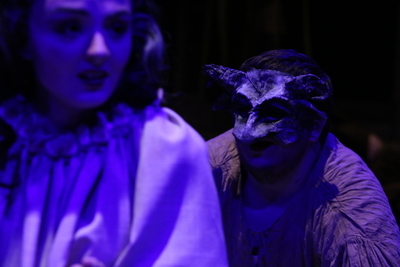 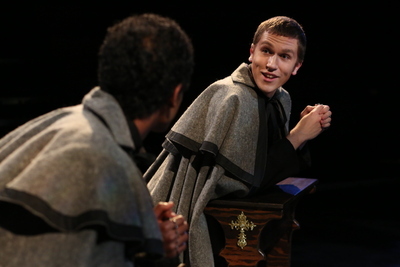 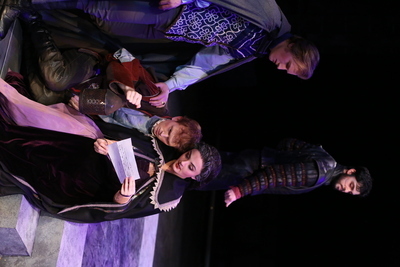 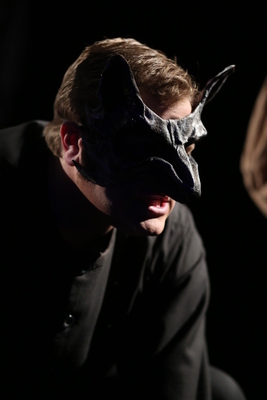 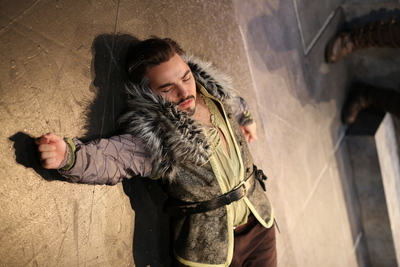 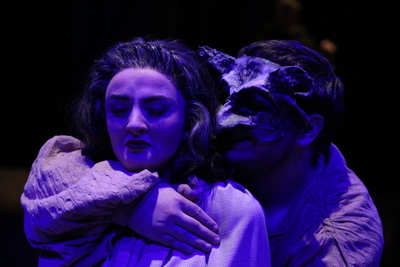 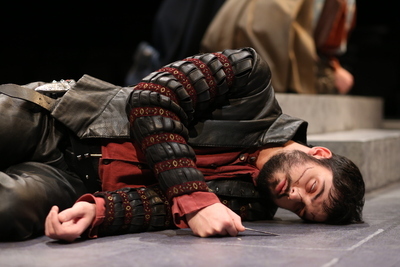 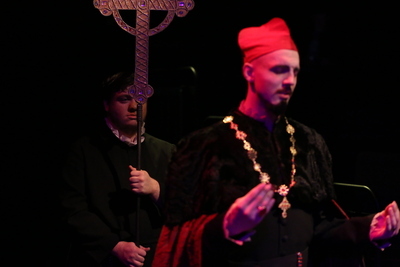 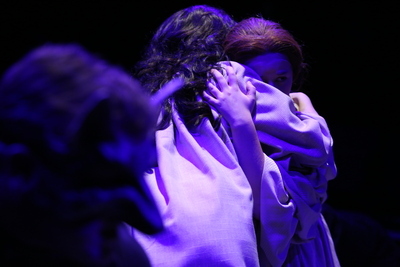 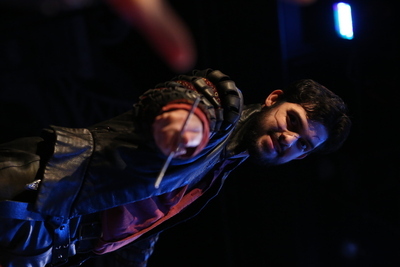 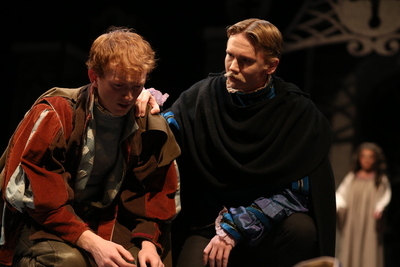 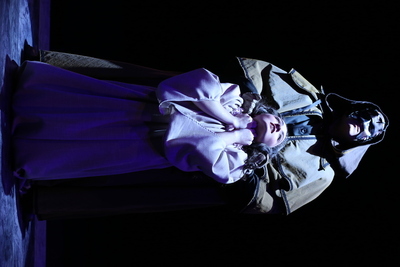 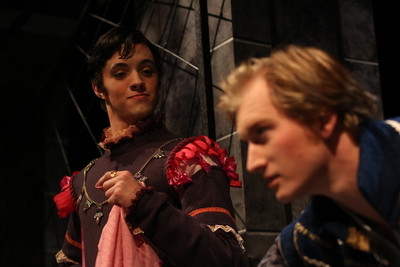 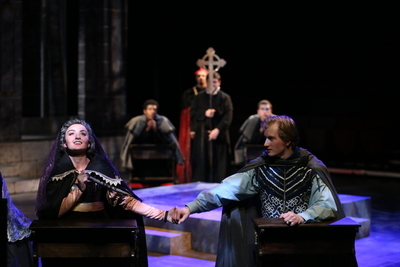 The "Duchess of Malfi" was performed in November 2014 by the Central Theatre Ensemble at Central Washington University. 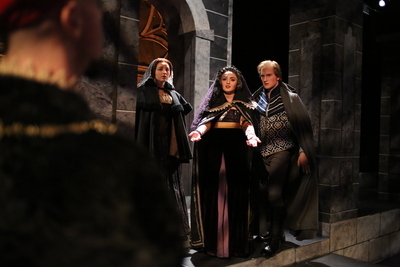 In the play, a duchess who functions as sole ruler of Malfi falls in love and remarries as she battles the forces of evil when her two violent brothers seek to overthrow her. 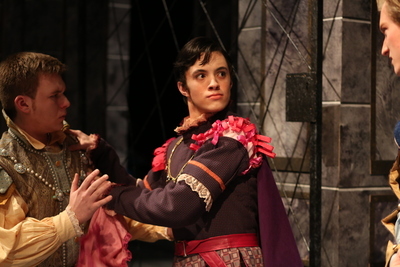 Pictured: Zach Mysliwiec, Skyler Gahley, ? ?